Forcella BYOB of offers a variety of off-premise catering options. 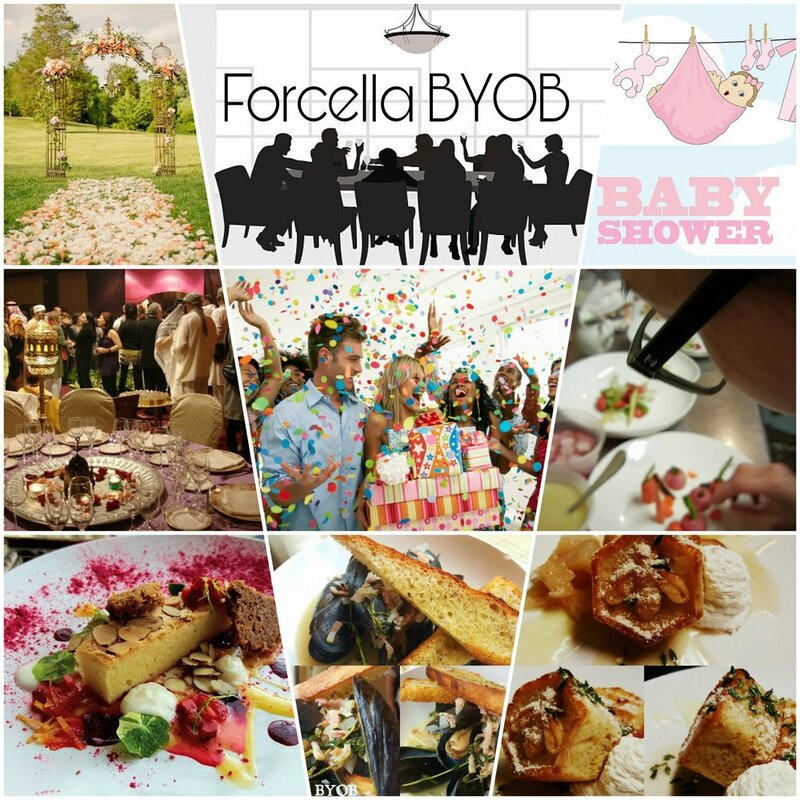 From weddings, bar mitzvahs, baby showers, large/small get-togethers, let Forcella BYOB make your next event one to remember. We provide full service catering from food to pastry. Uniquely designed cuisine will dazzle your guests and take all tedious food preparation and hassle of your to-do list. We understand your event is priority and we strive to create a seamless, diverse and professional service that will take all the stress and hassle from your culinary plan. Planning an event can be difficult, let us at Forcella BYOB relieve your stress and worries of prep, design and service. Let Forcella BYOB provide your next event with the unique, fresh menu selections as well as the attention to detail and service you desire. Contact us for more information. FOR THE MOST SECURE RESERVATIONS we highly recommend calling THE RESTAURANT AT 267-400-6155.